I will now locate on the 55/F and I need to get into the life of transit in lifts every weekday. Not only that, I will also need to take MTR to work, transit in between the MTR routes and then further transit by ICC shuttle. Which means more than 10% of the time are in the mode of transit. Do I look forward to the MOVE? Yes, since no matter how need to move gar la so .. let’s move on. shouldnt be that scare on the move bor. It’s great office Tower and u should enjoy working there! OH……..u’ll be on the 55/F, jealous~~~Let me check if you’ll use the same lift as me sin!!! It has a great great view, u know? U can see both the nice views of both HK and Kowloon side and u’ll realize HK is a really nice place. 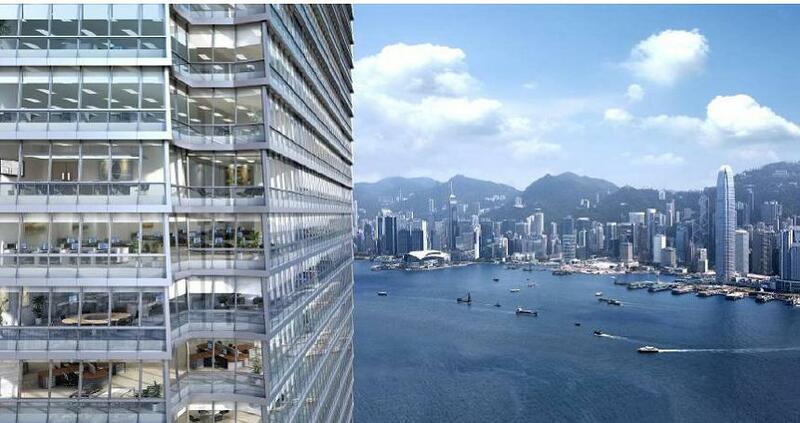 When I was in the meeting room facing the Victoria Harbour, I always lost my thought and couldn’t concentrate coz the blue sky and nice view distracted my attention ah……..
As u said, u need to move ga la………..MOVE ON!!! Kobi, you cant go to Duck’s canteen ga! Duck, yes the staff canteen is very good… much better than JP… but the price is so so…. You too actually can go to Tsing Yi, Olympic station or TST for food. A lot choices over there.